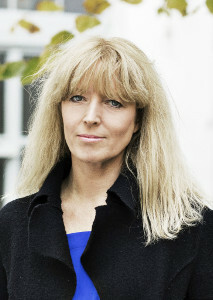 Trine Dyrholm is one of Denmark’s most renowned actresses. Her breakthrough came in 1998 with Thomas Vinterberg’s Dogma 95 hit FESTEN. She appealed to an even larger audience in Susanne Bier’s Academy Award­winning drama IN A BETTER WORLD (2010). Dyrholm appeared on ZFF screens in films such as THE CUT (2014), WHO AM I (2014) and in the series THE LEGACY, for which she even directed a couple of episodes. She received the Silver Bear at Berlinale in 2016 for her role in Thomas Vinterberg’s THE COMMUNE. 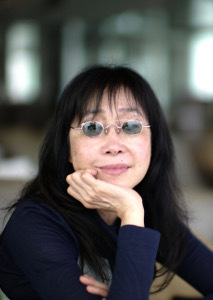 Director, author and producer Mabel Cheung is one of Hong Kong’s leading filmmakers. She won the Hong Kong Film Award for Best Director with her feature debut THE ILLEGAL IMMIGRANT (1985). Her list of award­winning films further includes AN AUTUMN’S TALE (1987), THE SOONG SISTERS (1997), CITY OF GLASS (1998) and TRACES OF A DRAGON (2003). She more recently completed the epic wartime drama A TALE OF THREE CITIES (2015), based on the true story of Jackie Chan’s parents. 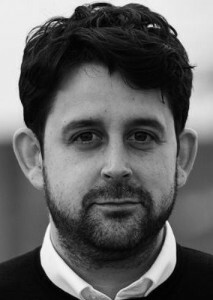 Ed Guiney founded Element Pictures with Andrew Lowe in 2005, working across production, distribution, and exhibition. Recent projects include THE KILLING OF A SACRED DEER by Yorgos Lanthimos, who he previously teamed with for THE LOB­ STER; Sebastián Lelio’s DIS­OBEDIENCE and Lenny Abraham­ son’s THE LITTLE STRANGER. Past productions include ROOM, directed by Lenny Abrahamson. ROOM was nominated for four Academy Awards® including Best Film, Best Director and Best Screenplay, & won the award for Best Actress. Geneva­-born producer and Golden Globe recipient Michel Merkt focuses on cinema with a very strong artistic voice. He has produced more than 50 films over the last decade for such directors as Paul Verhoeven, Maren Ade, Xavier Dolan and David Cronenberg, to name but a few. Several of his films, including MA VIE DE COUR­ GETTE and AQUARIUS, were part of ZFF in 2016. An impressive eight of his films screened at Cannes last year. Merkt recently received Locarno’s Raimundo Rezzonico Prize for best independent producer. 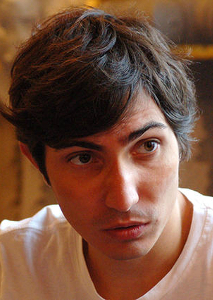 Romanian director and screen­writer Paul Negoescu graduated from the National Film School in Bucharest. His short films have screened at festivals such as Cannes, Berlin, Karlovy Vary and Rotterdam and were nominated for the European Film Academy Awards. Negoescu’s feature debut ONE MONTH IN THAILAND was invited to Venice (Critic’s Week) and screened at ZFF in 2012, as did his low­budget comedy TWO LOTTERY TICKETS (2016), which went on to become Romania’s biggest box­office hit in a decade. Lucas Ochoa is the Managing Director of the Film and Scripted Television division at Pulse Films. His credits as a producer include the Cannes Jury Prize winning AMERICAN HONEY along with THE WITCH, TROPHY, ALL THESE SLEEPLESS NIGHTS, 20,000 DAYS ON EARTH, WHO IS DAYANI CRISTAL?, SHUT UP AND PLAY THE HITS and NO DISTANCE LEFT TO RUN. Ochoa is also a journalist which has seen him awarded the Amnesty International prestigious prize for Excellence in Human Rights Reporting. 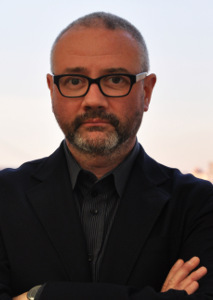 Simon Kilmurry is the current Executive Director of the International Documentary Association (IDA). Prior to joining IDA he was the Executive Producer of POV, the TV channel PBS’s prestigious doc showcase, during which time he won 17 Emmys. He is the recipient of six George Foster Peabody Awards, four DuPont Columbia Awards and two IDA-Awards for Best Continuing Series. He is a member of the Producers Guild of America and the British Academy of Film and Television Art, and he serves on the board of jurors for the Peabody Awards. Hungarian filmmaker and producer Gábor Hörcher co-founded ‘KraatsFilm’ together with Marcell Iványi in 2008. Hörcher’s short film RICSI (2014) premiered at Clermont-Ferrand and won the Hungarian Short Film Award. 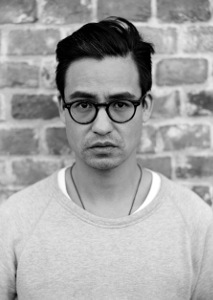 His debut feature-length documentary DRIFTER (2014) earned him the Best First Appearance Award at IDFA and a selection for the European Film Award. He is currently working on a documentary for HBO and preparing to shoot another project, which examines the consequences of the civil war in Myanmar. The director, cinematographer and producer Hanna Polak is renowned for her socially engaged documentaries. Her short documentary THE CHILDREN OF LENINGRADSKY (2004) garnered an Academy Award nomination and won numerous festival awards. For her most recent, multi award-winning feature-length film SOMETHING BETTER TO COME (2014), Polak followed a group of children living on a gigantic waste dump near Moscow for a period of 14 years. 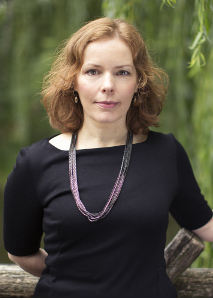 Hanna Polak has lectured at various film schools and universities, including Yale, and was a jury member at the IDFA and Krakow Film Festivals. 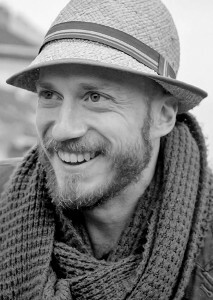 The multi-award winning Swiss filmmaker Patrik Soergel graduated from the European Film College in Denmark and the FAMU in Prague. His films have aired on ARTE, 3sat and SRG SSR channels, and have screened at countless international festivals, including IDFA. His film THE OTHER HALF OF THE SKY (2016) screened in competition at last year’s ZFF, where he previously won the Golden Eye for THE SOUND AFTER THE STORM (2009). He regularly directs prime time documentaries for the Swiss TV channel RSI. 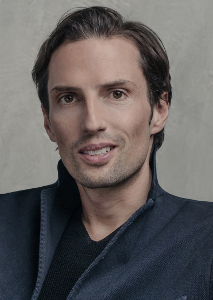 With box office hits such as WHO AM I (2016) and WILLKOMMEN BEI DEN HARTMANNS (2016), Quirin Berg is regarded as one of Germany’s most successful producers. 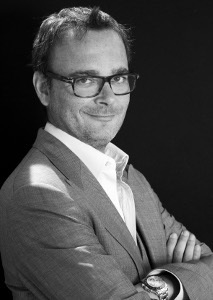 Together with Max Wiedemann, he is the co-founder of the production company ‘Wiedemann & Berg’. His international breakthrough came with the BAFTA and Academy Award-winning film DAS LEBEN DER ANDEREN (2006). Berg’s further credits include various TV events, mini series and series, ranging from the new TNT production 4 BLOCKS (2017) to the rst German Netflix Original DARK (2017) and the Sky series DER PASS (2018). Anne Fabini is an award-winning editor of notable feature films and documentaries. Several of her works premiered at the Sundance Film Festival: MORRIS FROM AMERICA (2016 dir. Chad Hartigan), HOUSTON (2013 dir. Bastian Günther) and RETURN TO HOMS (dir. 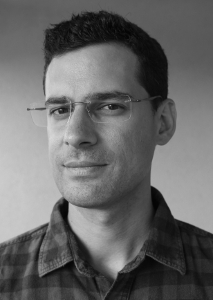 Talal Derki), winner of the 2014 World Documentary Grand Jury Award. Her editing of MORE THAN HONEY (2012 dir. Markus Imhoof) was highly acclaimed. CALIFORNIA CITY (Visions du Réel 2014) is a hybrid film that uidly crosses borders between genres. She also works as a story and editing consultant worldwide. 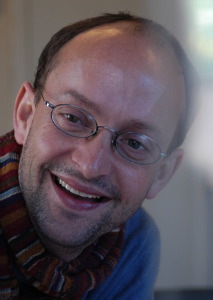 The German-Afghan author and director Burhan Qurbani made numerous international award-winning short films while still studying at the Filmakademie Baden-Württemberg. His feature length graduation film SHAHADA (2010) premiered in competition at Berlinale and won the Guild of German Arthouse Cinemas Award. Qurbani also shot a short doc KRIEGER OHNE FEIND (2010) for Andreas Dresen’s Grimme Award-winning omnibus project ‘20x Brandenburg’. His multi-award winning feature WIR SIND JUNG. WIR SIND STARK. (2014) opened both the film festival in Rome and Hofer Filmtage. Anne Walser has worked as Production Manager (since 2002), Executive Manager (since 2006) and Producer/ Co-partner (since 2007) at the renowned Zurich-based company C-FILMS AG. Her credits as producer include such films as MARCELLO, MARCELLO (2008), 180° (2010) and AKTE GRÜNINGER (2014). Her international breakthrough came with the co-production of Paolo Sorrentino’s YOUTH, which premiered at Cannes and garnered three European Film Awards. She is currently working on ZWINGLI – DER REFORMATOR and the screen adaptation of the international bestseller MITTAGSFRAU.